SECOND YEAR WITH PAINT TOOL SAI! GO USE IT NOW. omg i know where you got the title for this art piece..Hook. You truly are an amazing artist! Oooh! 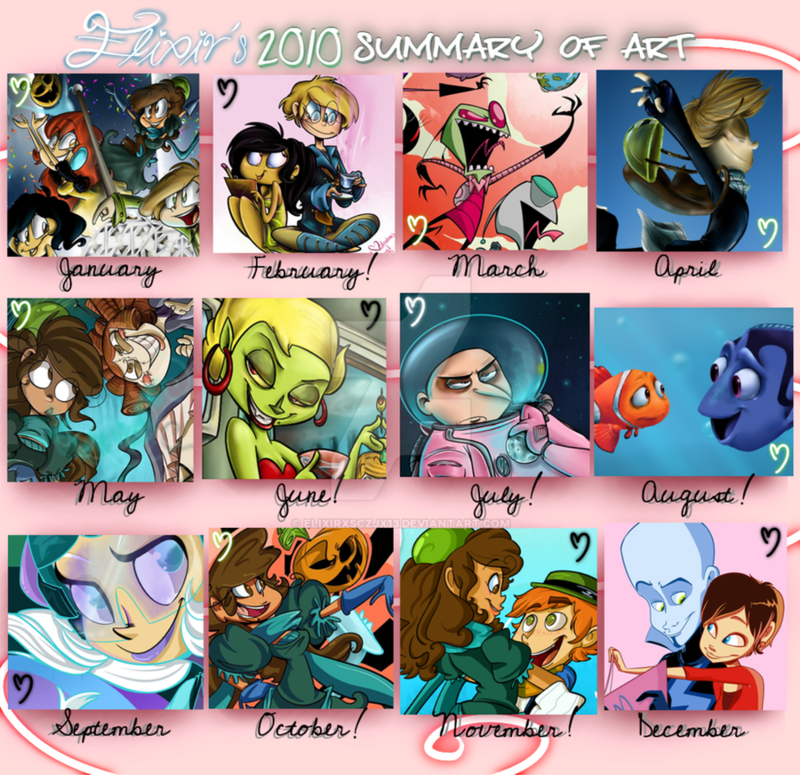 I like the March one with Zim and GIR...so awesome! Over 4000 watchers in one year!? 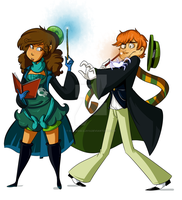 Samy, you're becoming a famous DeviantArtist as we speak! Everything looks great. wow a year passed so quickly! Hook fan are we? Mmm, yes, Rufio. 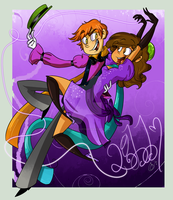 Heehee, I do use Paint Tool SAI! 8D And in my opinion, I'm getting better at it. Now on to you and you're epicness. 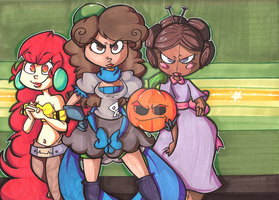 Seriously Samy, your art is just purely amazing. The effort you put in each drawing shows a lot of improvement and amazing style. You're one of the few artists I simply adore. You've inspired me greatly, like with painting. :3 Thanks to your advice, I do experiment with the tool settings and stuff. All the characters you have shined this year as well. Mostly that doll character Rita, in my opinion. I got to see her character through your artwork. Keep at it girl, you make us proud. awesome! My fav. months this year were July and Nov.(I wonder why) and Dec.
Hee hee! Pogo is the best! I finally put Bangarang on my iPhone, like I've been meaning to. Have you heard Whisperlude yet? I can't find Sai anywhere! But I have Sketchbook 2011, and that's been amazing. Very nice! I love your style, and the Finding Nemo one has a very clean look to the shading (not to say that the other ones are any less awesome). It looks like it could be an illustration in a Pixar art book!